If you're looking for an SUV that combines luxury, desirability, refinement, comfort and genuine off-road capability, you could do a lot worse than cast a glance at the Range Rover Sport. 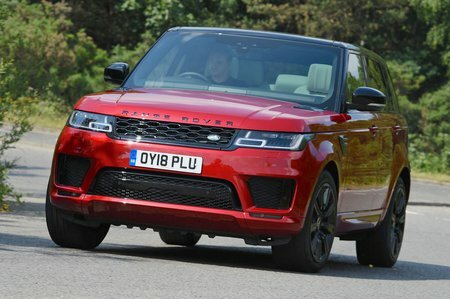 But hang on, are you confused by the difference between the Range Rover Sport and the Range Rover? It’s understandable if you are, so let’s clear that up straight away. The Range Rover Sport is smaller and cheaper than the Range Rover, which sits at the top of the lineup as the full-fat luxury SUV. 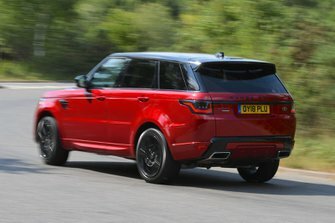 Confusingly, the Range Rover Sport is smaller but it’s available with seven seats, while the bigger Range Rover is only available with a maximum of five seats. Clear? Good. The Range Rover Sport is angled towards those after a large SUV that’ll entertain on the road and acquit itself well off it. With its fully adjustable air suspension and sophisticated four-wheel drive system, it’ll go farther off road than most of its rivals, but puts in an equally keen performance on a twisty road. Factor in its relaxed cruising manners, a sumptuous interior and space for up to seven and the Range Rover Sport makes a strong case for your custom. However, while this large SUV displays such a broad list of talents, you’ll pay for the Range Rover Sport’s multifaceted nature with a high list price and running costs. So, can it justify its intimidating price tag? How does it compare to the Audi Q7, BMW X5 or Mercedes GLE? Read on over the next few pages to find out. We'll give you our in-depth impressions of how it is to drive, what it’s like inside and how practical it is for a family, along with our recommendations for which trim and engine to choose. And, if you're tempted to put one on your drive, don't forget to check out our New Car Buying service.